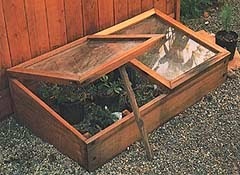 With very little effort you can build a simple cold frame - essentially a low greenhouse with a translucent hinged top. Placed against a south-facing wall and recessed into the ground it allows you to get a jump on spring with the sheltering of young plants before they are transplanted out, or even grow hardy salad greens such as spinach and kale during frosty winter months. Dig a rectangle about 6 -8 inches deep beside the wall. Using scrap lumber or plywood, build a frame with sides the slope down toward the front; a 6 inch slope is sufficient. Make sure the front is high enough (about 18 inches) to accommodate your shortest plant. Then set the frame againt the wall and spread 3 - 4 inches of gravel in the bottom. Traditionally, old window sashes formed the tops of cold fames, but you can also use clear plastic, fiberglass, or polyethylene plastic sheeting. In snowy areas, first cover the frame with fine mesh chicken wire or hardware cloth. Place the young plants or sow the seeds on a bed of good garden soil placed on a gravel base. Additional straw can be placed around the outside of the cold frame for additional warmth. Close the lid for protection from extreme cold, opening it slightly for ventilation when the temperature is above freezing. New Corner Joints Create Endless Design Possibilities Use these versatile corners to create everything from multi-level raised beds to angled landscape edging. Use singly for 5-1/2" high beds or edging, or stack two corners for an 11" high bed. Your 2" x 6" lumber slides right in. Traditionally defined as any glass-roofed building or adjoining structure whose purpose is to contain plants, today's greenhouse comes in a variety of sizes, shapes and compositions. Summer and fall crop yields can be stretched one season longer, often through the otherwise dull winter season. 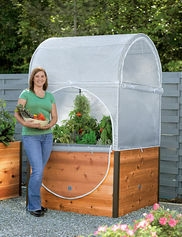 Gardeners can use their greenhouses to gain a head start on springtime planting. An opportunity to control the environment. Frosts, blizzards, rainstorms, heatwaves and other weather nuisances can be virtually ignored behind the protection of greenhouse windows and wall. Plus controlling the environment allows gardeners to grow specialty plants such as orchids and bromelaids. Further, there is the therapeutic value of home gardening. Tending fresh fruits, vegetables and ornamental flowers throughout the year is a wonderful way to break the tension and stress of a hard day at work. The gardener seeking to minimize construction and maintenance expense, and possibly even capture some heat for the house, may find that an attached greenhouse is more suitable than a freestanding one. To be most effective, a south wall of the house should be chosen for this type of greenhouse. The spot should not be heavily shaded by trees or other buildings, but it should be protected from strong winds that could chill the greenhouse and possibly weaken it in structure. Supplemental heating can be minimized - or even eliminated - by taking advantage of some features that are being incorporated into the new solar and energy-efficient houses such as the use of multiple-layer glazing, nighttime insulating shutters, curtains, shades, and the addition of thermal mass, such as concrete, stone or brick floors and house walls. Vents near the floor allow cool house air to enter the greenhouse, where it is warmed and then circulated back into the house by means of another vent near the ceiling of the greenhouse. since warm air naturally rises, no fan is necessary in many instances to move this air. Such venting not only helps to warm the house, but it also permits good air flow throughout the greenhouse, raises the humidity of the house and distributes plant-loving carbon dioxide from the house to the greenhouse, and then returning the oxygen from the plants back in. Vents to the greenhouse should be closed during the summer months, and vents from the greenhouse to the outdoors should be opened instead so that neither the house nor the greenhouse gets overheated. To many people, freestanding greenhouses offer distinct advantages. Although they do raise your heating bill, and they require extra expenditures for wire, pipes, fans, heaters, and the like, the additional growing space over attached greenhouses is ample compensation. Choosing the best greenhouse location is an important step requiring several considerations. Convenience, accessiblity, yard space, and general land conditions are variables to consider. All greenhouses should be situated so that the maximum dosage of sunlight is utilized, especially in winter when it is most needed. A 3 hour exposure of sunlight is considered the minimum daily requirement for most plants during the winter. Contrary to popular belief, the precise direction in which a greenhouse faces is usually not a crucial consideration. A more important consideration is the direction of the prevailing winds. Hinged dodors should always swing away from the wind, rather than into it. The key to controlling the climate indoors is regulating the temperature to simulate the outdoors. Heartier plants grow best when temperatures tend toward cool. In excessively warm environments, greenhouse plants grow rapidly, but become vulnerable to mildew and insect infestation. The proper heating system for your greenhouse depends largely upon the climate and temperature range where you live. Some suggestions for conserving fuel include keeping the greenhouse as airtight as possible; using two outside doors and having one serve as a storm door; using mulch to insulate and retain heat; installing heavy-gauge aluminum foil between the heat source and the outside wall to reflect and retain heat; and planting a windbreak of trees and shrubs nearby to retain heat and protect against wind turbulence. The most important companion to any greenhouse heating system is ventilation. Without fans to circulate the air, the greenhouse temperature can vary from 45F on the floor or ground to over 90F near the roof in winter. Summer temperatures would be even more extreme without proper ventilation. Never build a greenhouse too small. In a small area, it is impossible to maintian an even temperature and a healthy atmostpher condition. On sunny days, even in winter, a 4 x 6 ft greenhouse could run over 100F <b>in a matter of minutes</b> and then, at night, when the sun goes down, it would cool off just as fast. Plants will not grow under such conditions without extensive environmental control equipment. Maintain a relative humidity of approx. 60%. Excessive humidity invites plant diseases and decreased fruit and flower production (unless you are growing tropicals that are used to such conditions). A loam soil is often recommended because of its good drainage and aeration. A mix for bench or potted plants is 2 parts topsoil, 1 part sphagnum peat moss, and 1 part sand or horticultural perlite. Another common soil mixture is 1 part soil, 1 part peat moss, and 1 part vermiculite, coarse sand, or perlite. Whichever mixture is used, always keep it fairly moist in order to sustain the living organisms in the soil. Remove diseased and dead plants; keep them far from the greenhouse. Prevent wild weed growth near the greenhouse. Such growth attracts insects and promotes disease. Keep the greenhouse neat and free of plant clutter. Be certain that new plants introduced into the greenhouse don't harbour new germs and pests. Start seed, roots and cuttings in soilless mediums. Sterile perlite, vermiculite and peat moss are recommended for controlling seedling and cutting disease. Avoid soaking foliage when watering. Also avoid overwatering or overfertilizing greenhouse plants. However, not all greenhouse or garden insects are enemies to the propagation of healthy plants. Ladybugs, praying mantis, lacewings, spiders, and horse hair snakes are among the many winged or crawling "friends" in the garden who eat harmful insects. If helpful insects are not enough, plant companion herbs in the greenhouse such as tansy, sage, rosemary, mint, basil, parsley, valerian, marigolds, and pyrethrum. Tomatoes: Grow tomatoes in your garden or on your patio. 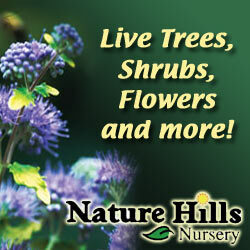 Includes everything from starting your tomato seedlings through transplanting, growing, pests, diseases, & harvesting. Companion Planting Guide: chart of plants which repel insects and naturally enhance the growth and flavour of neighbouring plants. This beautiful elevated bed includes a matching cold frame top to protect plants from harsh weather, making it perfect for starting seeds, hardening off transplants, and growing greens and other cool-season crops. The 2' x 8' elevated bed is easy to plant, tend and harvest without kneeling or bending. There's a false floor made from marine-grade plywood set 10" down from the top so there's plenty of root space for vegetables and flowers. Floor has holes for drainage; vents in the sides allow air to circulate and excess moisture to evaporate. 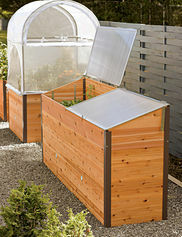 The cold frame top is made with polycarbonate panels that diffuse light so plants don't "cook," and there are adjustable aluminum braces to hold panels at various intervals for ventilation. A self-contained growing system that’s easy to tend and protects plants from chill, wind, heavy rain, insects, birds and animal pests — including deer, dogs and cats. We started with our popular, Vermont-made, 4' x 4' Elevated Cedar Raised Bed. Then we added a powder-coated steel frame and two-part cover that’s tall enough for big crops like tomatoes. The reinforced PVC outer cover protects plants from chill. Large zippered openings reveal the insect netting underneath and let you adjust ventilation. There are zippered openings in the netting, too, for easy access to plants and to allow pollinating insects to reach plants. Do you live in the country and would like to work at a GOOD paying job from home? This is an Approved Educational Program.